And we’re back for another episode of Try That Soup Recipe! 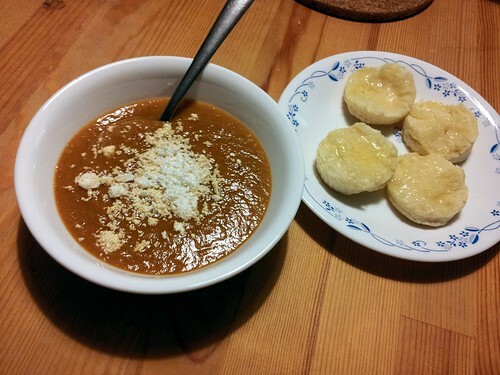 This week’s iteration is Smitten Kitchen’s Roasted Eggplant Soup. I actually managed to produce some eggplant in my own garden (or at least, on my balcony) this year, and I needed to use them up – voila, eggplant soup recipe! 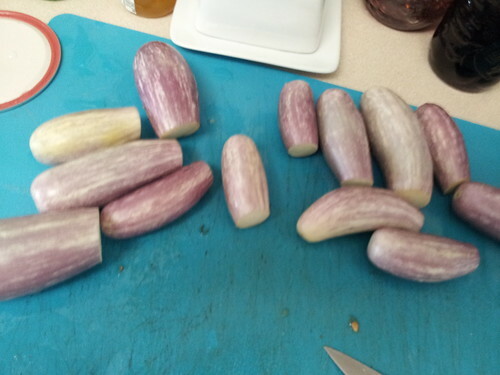 I call this Eggplant Tomato because the tomato flavour is pretty strong, but it’s also very garlicky and eggplanty and oniony, all with that richer flavour you get from roasting. 2. 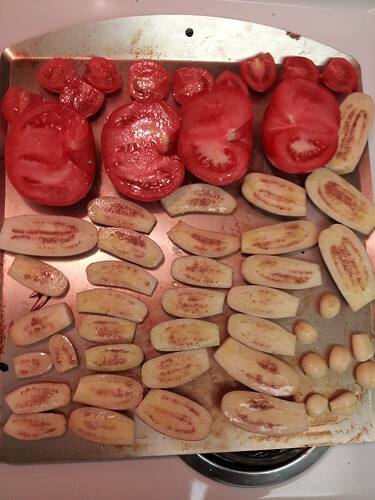 Take eggplants, tomatoes and onion and slice in half; arrange on a baking sheet. Peel a whole bunch of garlic and add to baking sheet. Brush with olive oil. Gaze upon the prettiness of your vegetables for a moment. I’ll wait. 3. Roast everything for about an hour (except the garlic; take that out after about 30 minutes or it’ll burn). 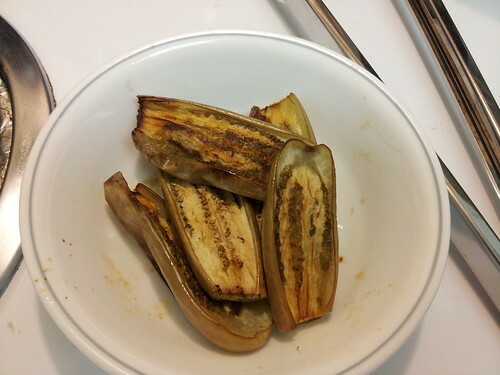 Take the tray out and reflect upon the relative unattractiveness of roasted eggplant. 4. My second-favourite part of any soup recipe: toss everything into a pot! 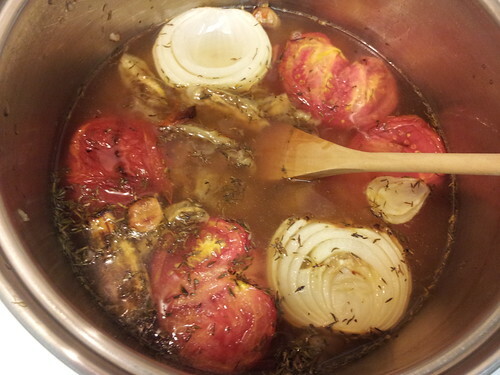 With veggie stock and some thyme. 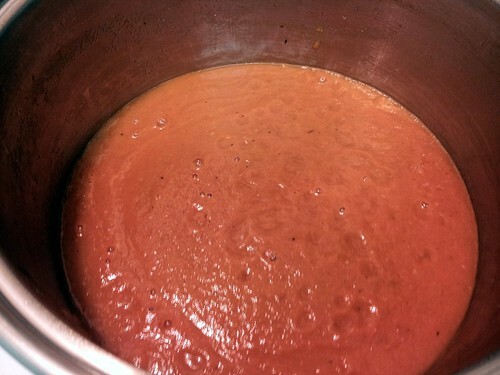 Bring to a boil and simmer for an hour. 5. And now my favourite part of a soup recipe: dump everything in a blender and puree! Except only half at a time, otherwise the blender will explode and get soup everywhere. 6. If you want, make some awesome biscuits and smother them with butter. For extra awesomeness, crumble some goat cheese on top of the soup.